Learn about hip dysplasia and the advanced treatments that Dr. Boyle can provide, including periacetabular osteotomy, hip arthroscopy, femoral osteotomy and others. The hip is a ball-and-socket joint. Hip dysplasia, often referred to as DDH (developmental dysplasia of the hip), is a relatively common abnormality of the hip joint where the acetabulum (socket) does not adequately cover the femoral head (ball). The shallowness of the acetabulum causes the femoral head to exert excessive pressure on the rim of the acetabulum. If left untreated, this excess rim pressure can lead to hip pain, cartilage damage and eventual osteoarthritis. Hip dysplasia originates at birth or develops during childhood. Specific risk factors for hip dysplasia include a family history of hip dysplasia, breech position during pregnancy, female gender (females tend to have looser ligaments than males), first-born child, and high birth weight. The severity of hip dysplasia varies widely. 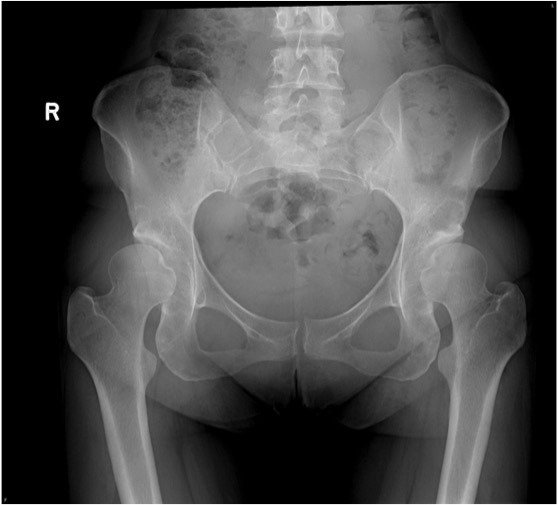 In the mildest types of dysplasia, the hip is very close to normal on x-ray, and may not cause any symptoms until the patient is 30 years of age or older. In the most severe form of dysplasia, termed “developmental dislocation”, the femoral head of the infant or child actually lies outside of the acetabulum, resting under the muscles of the buttock and thigh. At least 80% of osteoarthritis in the hip occurs because of a developmental abnormality such as hip dysplasia. Hip dysplasia is the most common developmental hip deformity causing symptoms in adults, and is the most common developmental hip deformity causing osteoarthritis. If hip dysplasia is detected early, surgery can be undertaken to improve hip function, reduce cartilage damage and delay or prevent the onset of osteoarthritis. These treatments include physiotherapy (to strengthen muscles), activity restriction, and possibly weight loss. Although useful as a part of surgical interventions, non-operative measures to treat the symptoms of dysplasia do not treat the underlying mechanical problems. Periacetabular osteotomy (PAO). This is the primary surgical treatment for hip dysplasia. Only realignment surgery such as PAO can correct the underlying mechanical problem and abnormal orientation of the acetabulum. Learn more. Hip Arthroscopy. This technique involves two to three small incisions which allow a camera and tiny instruments to be inserted into the hip joint. Arthroscopy alone cannot correct the major problem of acetabular dysplasia, however it can be useful in repairing labral tears or treating impingement. Hip Arthrotomy. This is a procedure in which the capsule surrounding the hip joint is opened. Some minor problems of the labrum and femoral head can be treated with this procedure. This is sometimes performed at the same time as PAO. Osteoplasty. This involves using special surgical instruments to shave down bone on the femoral head or acetabulum that may be causing impingement. Total hip replacement (THR). Replacement of an arthritic joint with an artificial joint. Unfortunately, if THR is performed in young, active patients, the artificial joint is likely to wear out with time and require additional surgery. Click here to learn more about Periacetabular Osteotomy (PAO).